16 Festivals Of Maharashtra You Should Witness ! Unique Festivals of Maharashtra You Should Witness! 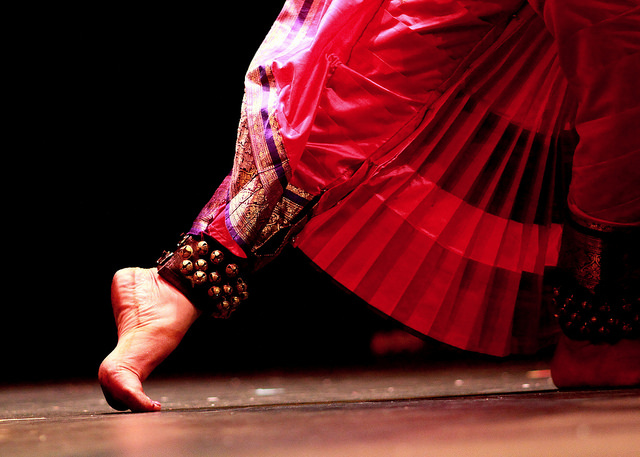 Each state in India has its own culture, traditions and festivals, and Maharashtra is no exception. Although most of the national festivals are celebrated with a great pomp and gusto, there are some festivals and festivities which are unique to this diverse state. Read on to explore some of the unique festivals of the land which is a cultural melting-pot of the country. An important festival in Maharashtra, Nag Panchali is celebrated in the honour of the Snake God Shesha Nag on the fifth day of the holy month of Shravan.. Snake worship is an important ritual in India, and on this festival, cobras made of clay are venerated in homes. It is mainly celebrated for two reasons. Firstly, the abode of the nags (snakes) forms the bottom of the patal lok, and the blessings of the nags are sought for the well-being of the family. Secondly, the nags (snakes) keep the crops safe from rats and rodents, and so the farmers pray to the nag-devta and offer their thanks. People make offerings of sweets and milk to the snake deity. Cobras are carried by snake charmers in baskets and they collect offerings from the public in the streets. The day is celebrated with dances and songs in the streets. People throng nag temples and also Shiva temples, since the nag is very closely associated with Lord Shiva. Gudhi Padwa signifies the beginning of a prosperous new year and Hindus consider it to be one of the most auspicious days. It falls on the first day of the Lunar calendar, marking the new year. It is celebrated with great pomp and show all over the state. 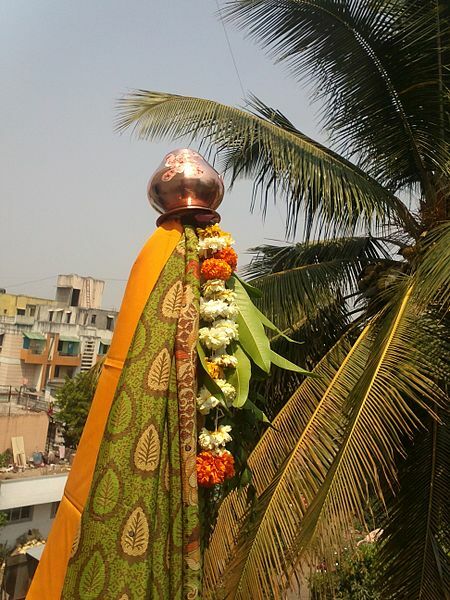 Households are decorated with garlands and rangolis, and a gudhi is put up outside the home to welcome prosperity and good health in to the family. Gudhi is a symbol of victory, characterized by a bamboo stick with a silk cloth. It is garlanded with flowers and has sweets offered to it. People bring in the new year by worshipping the gudhi and distributing prasad among the people in the community. Sweet dishes like shrikhand or basundi are prepared and relished by adults and children alike. 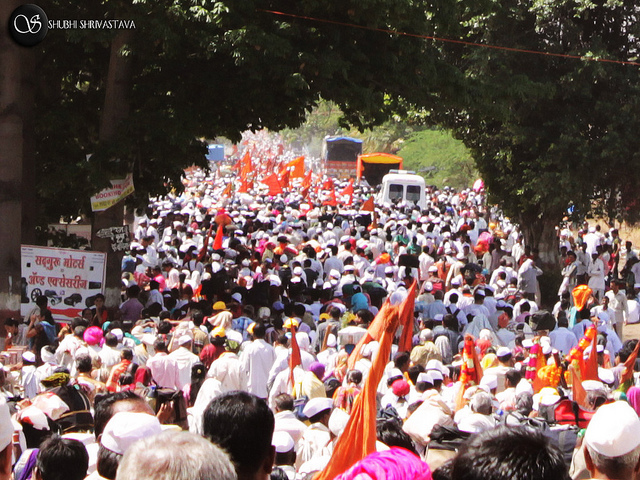 There are many processions in several parts of the state that celebrate the culture and traditions of Maharashtra. 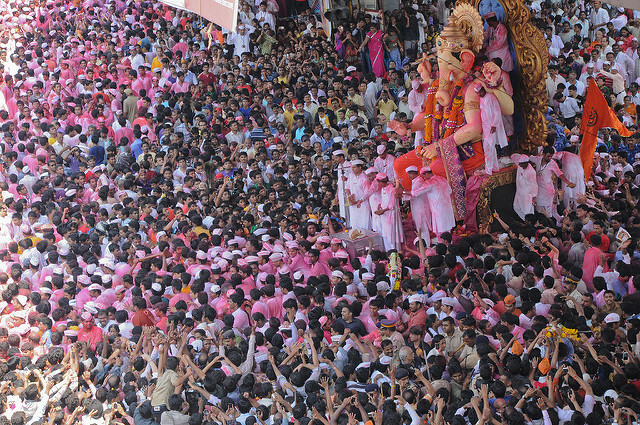 People throng in thousands to see the festivities and partake in the celebrations. This day is one of the saade-teen muhurtas and any new venture started on this day is believed to bring success and prosperity. Therefore, this day is considered very auspicious for purchasing or moving into a new home, purchasing a car, starting a new business etc. In the month of Shravan, the full moon day is celebrated in different parts of Maharashtra and is known as Narali Pournima. 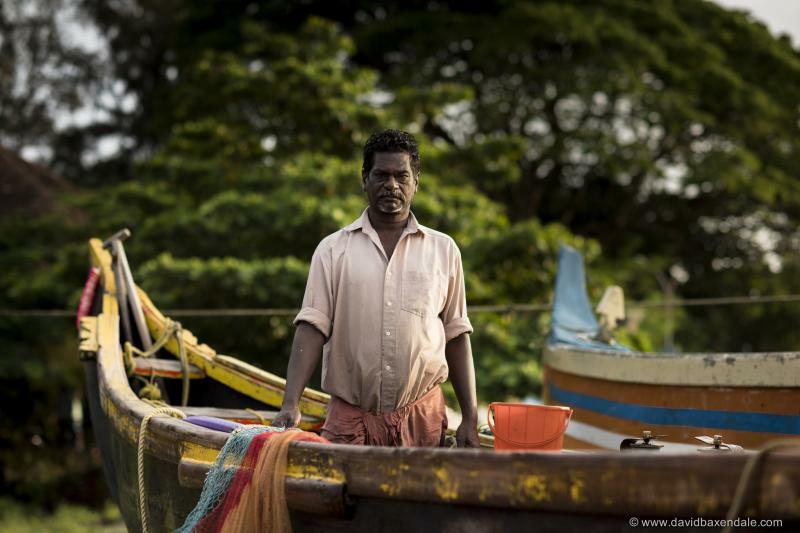 During the monsoon the sea is unsafe for fishing, and hence fishermen do not venture into the sea. Narali Pournima marks the end of the monsoon and the beginning of the new fishing season and fishermen appease the sea-god before sailing out in their beautifully decorated boats. ‘Naral’ means ‘coconut’, and ‘Pournmia’ is the full-moon day when offerings of coconuts are made to the sea-god on this day. The fisher-folk make offer coconuts and prayers to the sea-god and seek his blessings to prevent any untoward incidents, as they begin the fishing season. Sweets made from coconut are savored on this day. Narali Pournima also coincides with the festival of Raksha Bandhan, when brothers vow to protect their sisters and the sisters tie a thread on their brother’s wrist as a sign of respect and affection. Lord Ganesha, the deity of wisdom, is the most loved in Maharashtra and Ganesh Chaturthi is celebrated with the most grandeur. In August, preparations for the auspicious day when Lord Ganesh was born – begin with great enthusiasm. It is an 11-day festival, beginning with the installation of beautifully sculpted Ganesh idols in homes and large pandals, colorfully decorated, depicting religious and cultural themes. The Ganesh idols are worshiped and many cultural events are organised. People throng the huge pandals to catch a glimpse of their favorite God. Visits to friends and family to offer prayers and join the celebrations, and partake some delicious food are looked forward to by all. It is also a great chance to gorge on modaks (steamed rice-flour dumplings with a succulent coconut and ghee filling), since they are considered to be the Lord’s favorite food. On the 11th day comes the time to bid farewell to Ganesha. People take the idols in procession with an accompaniment of music and dance for immersion in the sea or nearby river or lake. Gokul Ashtami or Janmashtami celebrates the birth of Lord Krishna. Devotees fast till midnight on the eve of the birth of Lord Krishna. Krishna-janma is celebrated at midnight at temples and in homes amidst bhajans (devotional songs), marking the birth of Lord Krishna. The next day is celebrated as Gokulashtami. Devotees remember how the Lord was very fond of butter and used to go to great lengths to obtain butter. 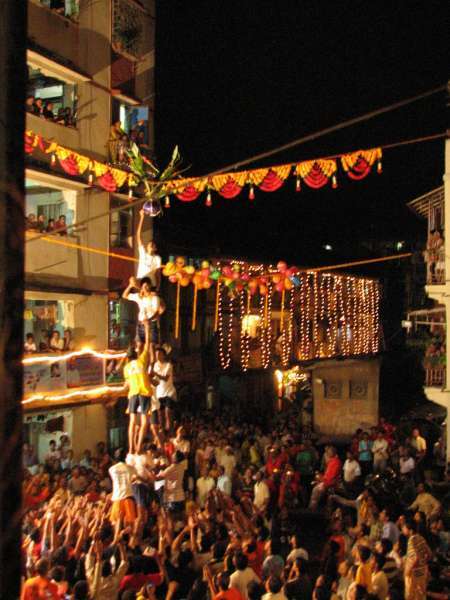 In honour of the beloved Lord, a ritual performed on this day is the dahi-handi. Clay pots filled with curd, puffed rice and milk are strung high up above the streets. Groups of enthusiastic youngsters form human pyramids to reach up to these and break them open – the way Lord Krishna and his friends would, after sneaking into the houses of gopis to steal butter. People throng in great numbers to see these human pyramids and their attempts at breaking the pot of butter. Also known as Uttarayan or Pongal in other parts of the country, Makar Sankranti is the celebration of the winter solstice. It is the celebration of the advent of spring, the day when the sun leaves the southern hemisphere and begins its journey in the northern hemisphere. Following the glorious tradition of kite-flying, there can be plenty of kites seen dotting the sky on this day. Meals of gulachi poli (jaggery flatbreads) are prepared to keep everyone warm. 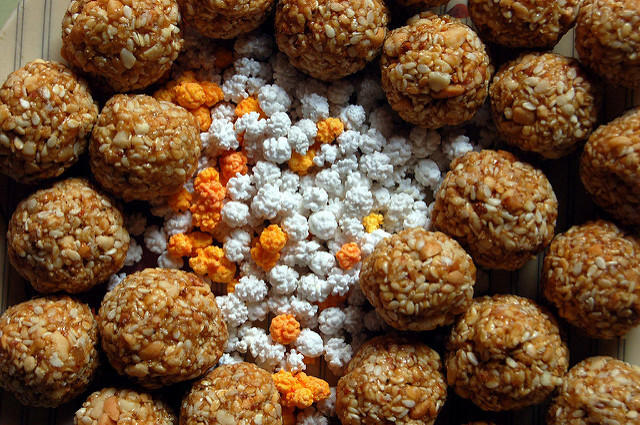 Small sweet laddoos (balls) made from sesame are especially prepared for this day. People visit the homes of friends and relatives, and say “Til gul ghya ani god god bola“, meaning “Accept this til-gul and speak sweetly”. It is a day when everyone agrees to forget old hostilities and differences, and move forward with mutual love and respect. 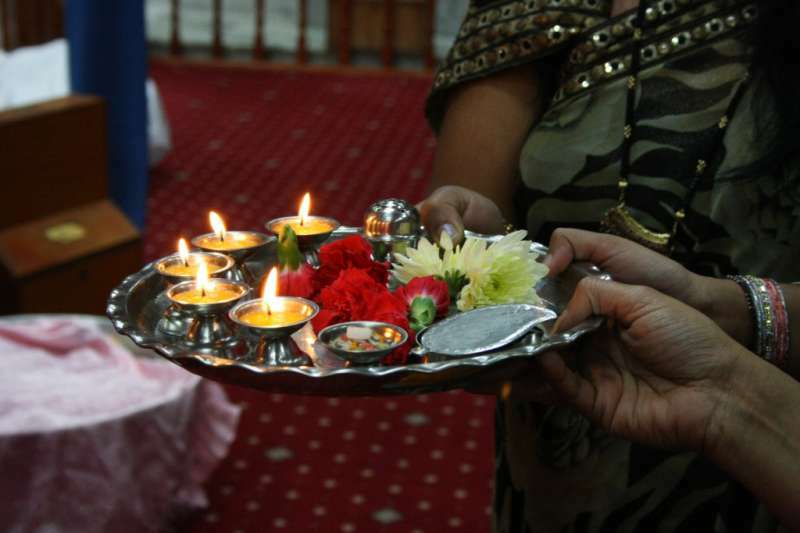 Another popular cultural celebration is having a pooja for newly married women and newborn infants. They are dressed in black and adorned with ornaments made from small sugary sweets, and everyone enjoys with song, dance and merry-making. Just as the country celebrates sibling love on Raksha Bandhan, Maharashtrians celebrate this special bond on one additional day. Celebrated on the fifth and final day of Diwali, it is a special celebration of the all the revelry and rivalry of this everlasting bond. Brothers are traditionally considered to be the protectors of the sisters, and on this day sisters invite their brothers to their home. A sumptuous meal of basundi poori, shrikhand poori and other favorites of the brother are prepared. The sister performs an aarti of the brother and seeks his protection. The brother gives his blessing and vows to always protect her. Gifts are exchanged and there is general merriment and celebration all around. One of the great historical sites in the state are the Ellora caves, which also have a UNESCO world heritage status. Ellora festival is the celebration of culture, classical music and dance, organized on the backdrop of the majestic Ellora caves. Organised by the Maharashtra Tourism Development Corporation, the performances at this grand event are sure to leave you mesmerized. The Ellora festival celebrates the grandeur of Indian art and cultural forms at one of the most picturesque and historical sites in the country. There are also a number of stalls where arts and crafts of local and artisans and sculptors are on display. It is a must-visit if you are a connoisseur of Indian arts, crafts and traditions. Celebrated in honor of the great Hindu god Vishnu, Ashadhi Ekadashi is the culmination of the great Pandharpur chi Vari (Journey to Pandharpur). Pandharpur is a town in Maharashtra on the banks of the river Chandrabhaga and is considered to be the abode of Vitthal, a local form of the mighty God. Almost a month in advance, millions of people begin a pilgrimage to visit the holy city on foot. It is a sight to behold as millions and millions of people throng this tiny city, driven only by their faith in the Lord. These people known as the Warkaris (people who have undertaken this journey) chant holy songs and live in extremely minimalist conditions during the entire journey, and the atmosphere is of great devotion and mutual support as everyone’s ultimate aim is only to reach the Lord and fall at his feet. All over the state, people observe a fast and partake only simple food, which is a reminder of the journey that the Warkaris undertake, and also a sign of devotion and faith in their Vithu Mauli (The Lord). 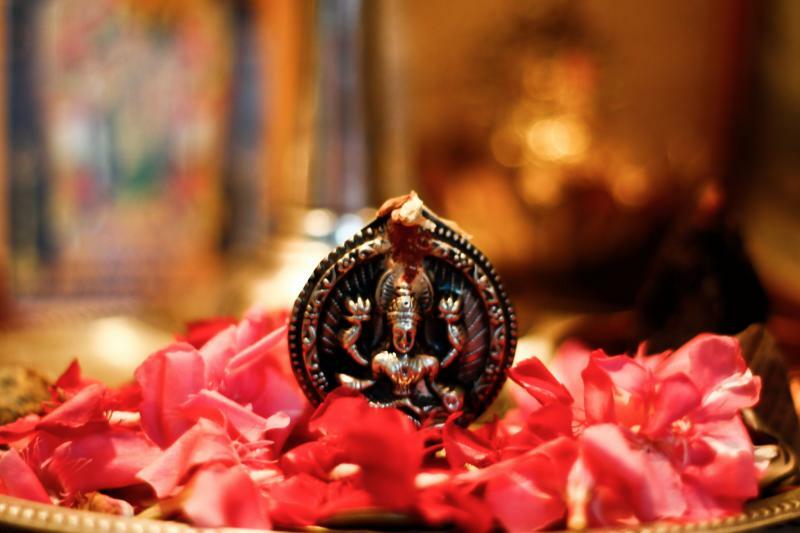 A very important celebration for the married women, especially among the Brahmin community of the state, Mangala Gauri is a celebration for newly-married brides, within the first 1-5 years of marriage. It is celebrated on a Tuesday in the month of Sharavan. On this day, the new bride performs a pooja for the well being of her husband and new family. Later in the evening, a get-together is arranged. Women get together to enjoy song, dance and special games like Jhimma (clap dance), Fugdi (going round and round, by holding hands) etc. Food is served for the guests, and the new bride is asked to speak her husband’s name in a rhyme, called an Ukhaana. This celebration is believed to give these new brides a prosperous and happy married life. Like Lohri in North India, the harvest festival of Pola is celebrated by farmers all over Maharashtra. It falls on Pithori Amavasya, the new moon day of the holy month of Shravan. 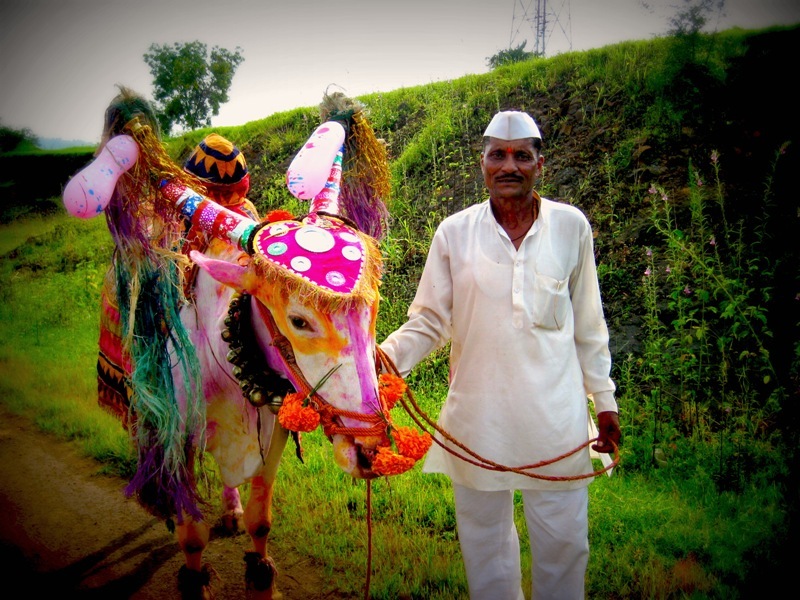 On this day bullocks, which are an integral part of the agriculture – basically the backbone of it – are worshiped. They are bathed, decorated with ornaments and taken out in processions across the village, accompanied by music and dancing. The procession of the bulls marks the social standing of the farmers – the order in which they are taken out into the village. 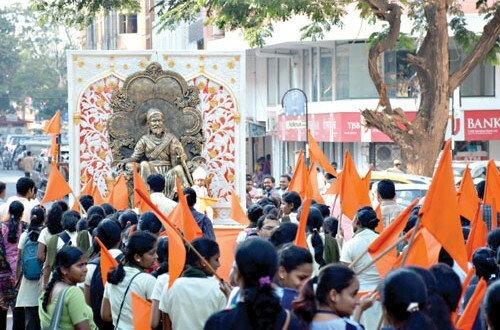 Chattrapati Shivaji Maharaj was the greatest ruler of Maharashtra. He was known for his courage and intelligence. He laid the foundation of a Hindu empire which lasted for over two centuries before the British took over. All Maharashtrians have great reverence and regard for him and his birthday is celebrated all across the state as Shivaji Jayanti. There are several pandals put up all over the state, which venerate the great king. Actors or statues play out great incidences of battles, wisdom, kindness and bravery of the king. Processions are carried out that narrate stories of his greatness and songs that celebrate this bravery and kingship are sung. The state fondly remembers their great king and pledge to imbibe his qualities in their day-to-day life. Kojagiri Poornima or Ashwin Poornima is celebrated on the full moon day of Ashwin to mark the passing of the rainy season and the advent of the harvest season. The sky becomes clear and the moon shines in the sky with full brightness. Some believe that Goddess Laxmi shows up at different places at night so people stay awake playing games, dancing, singing and in general merry-making. These celebrations are usually marked by community dinners comprising of simple but delicious snacks like cool milk and rice snacks. The moon and the earth are believed to be very close on this day, and thus everyone is encouraged to stay up all night since it is said that the moon’s rays have healing powers. A musical tribute to Lord Ram, the Banganga Festival is a two-day festival held every year at Malabar Hills in Mumbai. 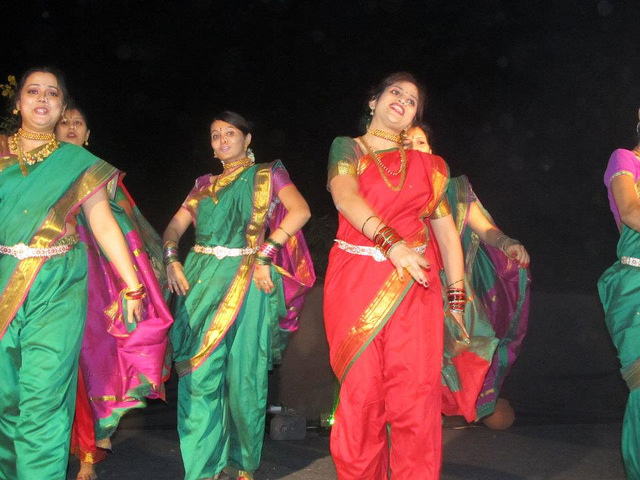 It is organised by the Indian Heritage Society and the MTDC (Maharashtra Tourism Development Corporation). 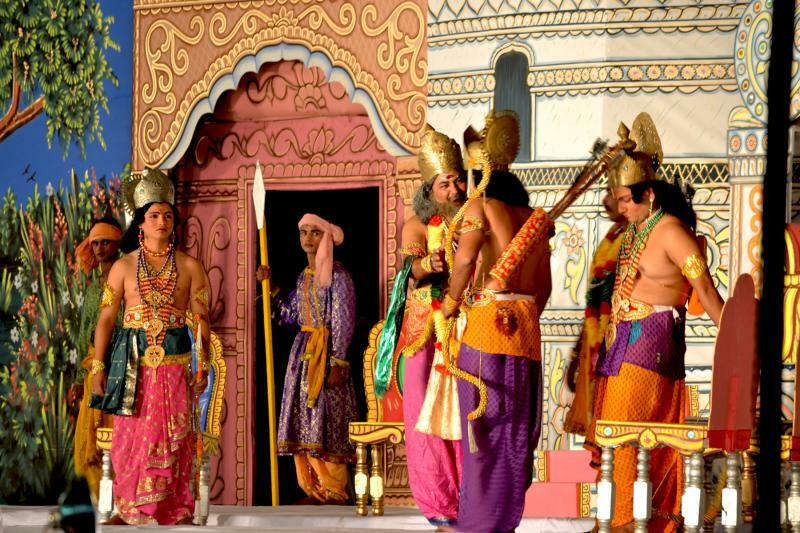 This musical carnival celebrates and protects the existing rich heritage of the state. In January, a cultural extravaganza is organised at Banganga, where cultural enthusiasts watch some of the top artists from around the country performing live classical music concerts. It also helps to raise awareness about the need to preserve the rich cultural heritage of the historical Banganga tank in the Walkeshwar temple. It is believed that Lord Rama had stopped at this very location in search of fresh water, and when he couldn’t find any, he shot an arrow. The spot where the arrow landed on the ground is believed to be the exact spot of the Banganga tank, which had provided Lord Rama with water of the Ganges. 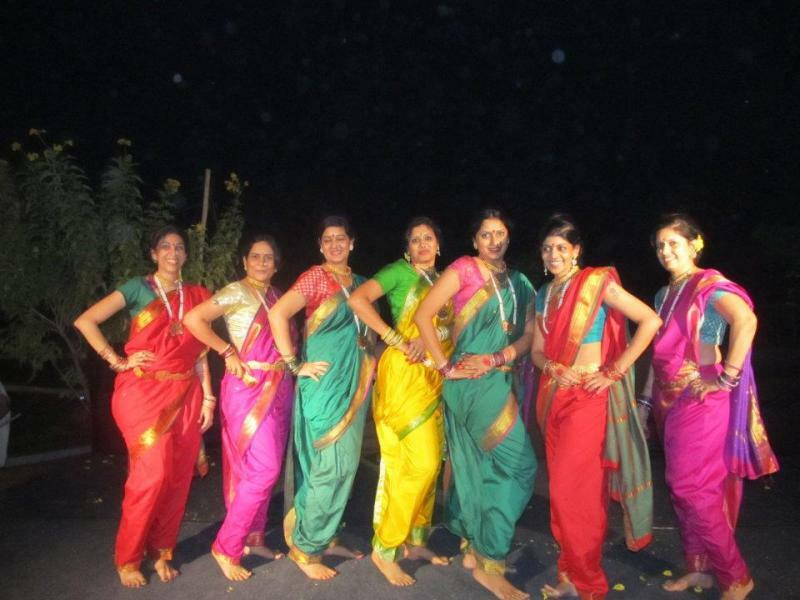 Vat Pournima is a festival for Maharashtrian women. Just like the Karva Chauth festival is celebrated in Northern India, Vat Pournima is celebrated in Maharashtra to pray for the longevity and good health of the husband. Celebrated in the month of Jesht (May-June), women fast and tie threads around a banyan tree while praying for the same husband in every birth and for the longevity of their lives. This festival is celebrated in the honour of Goddess Savitri who rescued her husband’s soul from the throws of Yama. This is a glimpse in to the multi-cultural world of festivals and festivities of the Maharashtrians. Festivals take out the stress from or daily life, and present a wonderful opportunity to socialize, revel in song and dance, enjoy some sumptuous food and celebrate the joys of life. Please share your experience if you have been a part of any of these festivals.